Great for working on motorcycles. The Slimline Impact Driver allows you to get into small spaces you could never get into with a normal impact wrench. Old stock. Some of the packaging may be faded or damage. Unfortunately, this item is no longer being manufactured and we are moving these old supplies at a great price. An essential tool for anyone who works on motorcycles. Don't be without it. 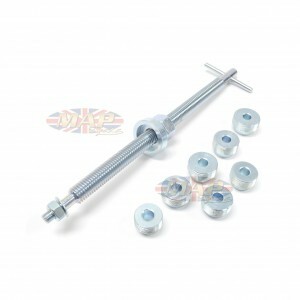 Keeps you from stripping screw heads in side covers. Adaptable to Allen Head bits as well. 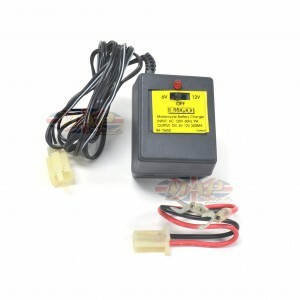 With this compact motorcycle, ATV and PWC battery charger, you can keep your battery fully charged until you're ready to use it. Quickly detach the leads and go! A very useful and essential tool for testing the alternator load on a motorcycle. Attach between the output connectors for the alternator. 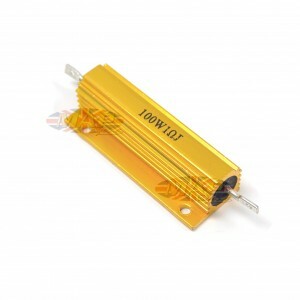 This specially designed resistor puts a 100-watt load on the alternator as you read the output of the alternator with your meter. 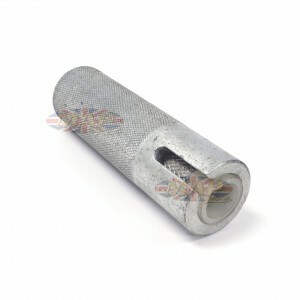 If you ever had to replace the fuel lines on your vintage Norton, Triumph or BSA you know you need this special tool for crimping the fuel line ferrule. Get one while they're still available! 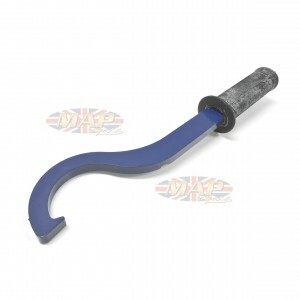 The perfect tool for breaking links on the 530 chain used on Norton Triumph and BSA. Will work on any chain-driven motorcycle as well. 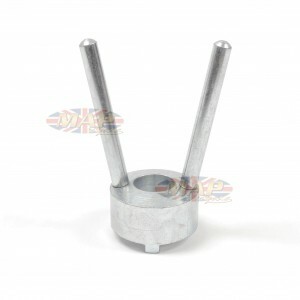 High quality, English-made tool works great on Norton BSA,Triumphs or any other vintage motorcycle- especially those that do not have a slotted triple tree where the fork tube must be pulled into place. 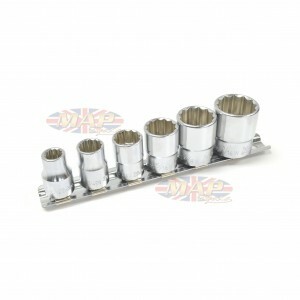 Includes puller and 7 dies for various size forks. High quality Whitworth tool set made in Japan. 1/8' Whitworth to 9/16" Whitworth. 12-Point sockets. Comes with socket keeper. High quality Whitworth tool set made in Japan. 1/8' Whitworth to 7/16" Whitworth. 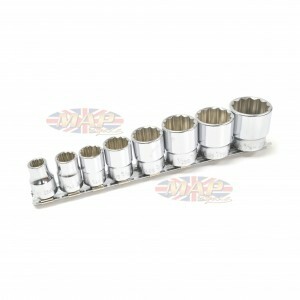 12-Point sockets. Comes with socket keeper. 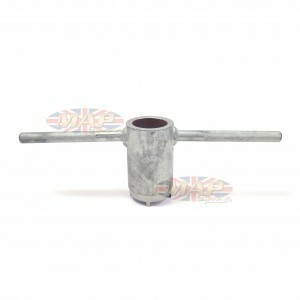 Very heavy duty, English-made spanner designed to fit Norton exhaust nuts. 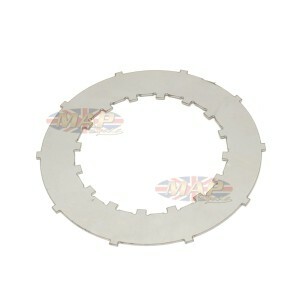 Allows for the removal of wheel bearing lock rings on many vintage Triumph, BSA and Norton models. Made in England to the original factory tool specifications. The original factory tools are no longer available. 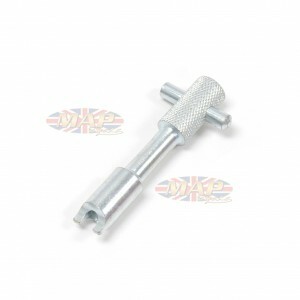 This tool works on Triumph and BSA singles and twins, as well as Norton models for removing countershaft nut. 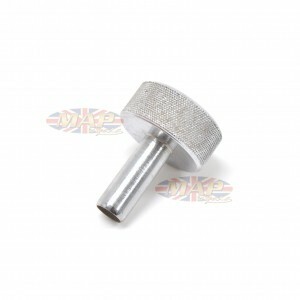 English made, heavy-duty tool works just like the factory tool which is no longer available. Made to work on Triumph Most Triumph and BSA unit twins and single with external, two-tang seal holder. This would include T150 Trident, T120 Bonneville, TR6 Trophy Tiger, T25 Cub, T100 Daytona (unit twins and triples to 1971), as well as A50 and A65 and most 1968 and later BSA models. 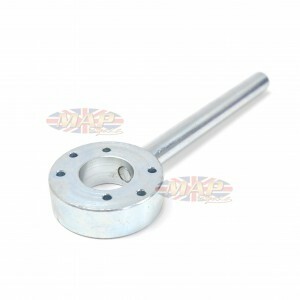 English made, heavy-duty tool works just like the factory tool which is no longer available. 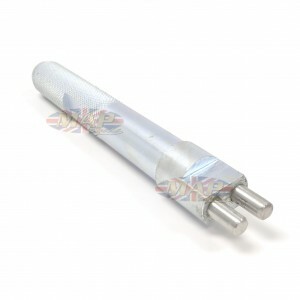 Used with Triumph pre-unit Triumph and BSA models with have the four-slotted seal holder in the forks. 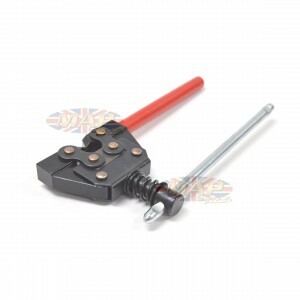 This tool is essential for removing and replacing the seal holder. 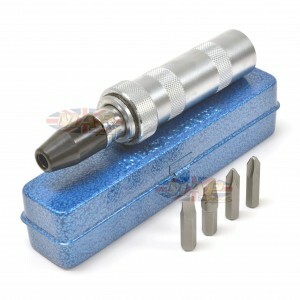 English made, heavy-duty tool works just like the factory tool which is no longer available. 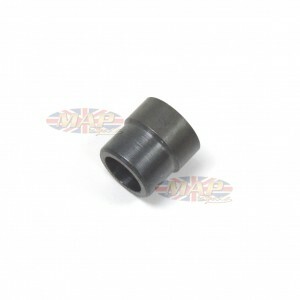 Can be used with Triumph TR25 and BSA A10 and A65 with the internal, two-tang seal holder. This tool is essential for unscrewing the seal holder from the forks so they can be dissembled. If you work on motorcycles, this is an essential tool for your box. 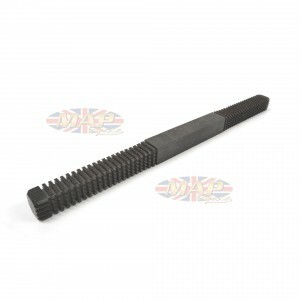 The metric thread file allow you to repair threads on special, hard to get screws or when you can't get another bolt or screw to replace the one you have. Multiple settings for different thread types. A handy little tool! If you work on English bikes, this is an essential tool. 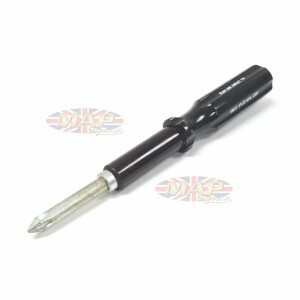 The English thread file allow you to repair threads on special, hard to get screws or when you can't get another bolt or screw to replace the one you have. Multiple settings for different thread types. A handy little tool! 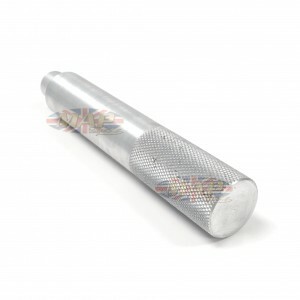 If you're rebuilding the engine of your Norton, this is an essential tool. 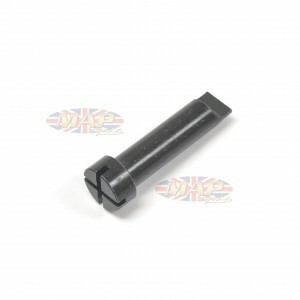 It allows for the removal of the lockring on the main shaft bearing. Made in England to the original factory tool specifications. The original factory tools are no longer available. If you're a hobbyist or professional who rebuilds small engine, motorcycle, ATV or PWCs, this is an essential tool for your box. 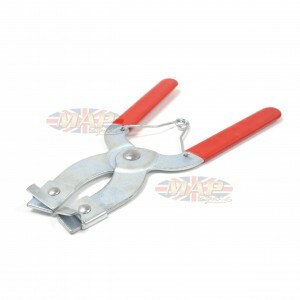 The specially-faced pliers allow you to placing rings on small pistons without breaking them. 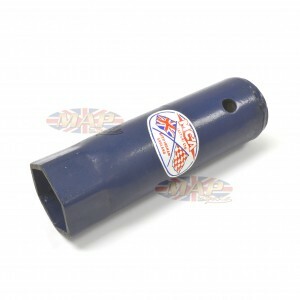 High quality, English-made tool for safely compressing and installing piston rings on 75-80mm pistons. 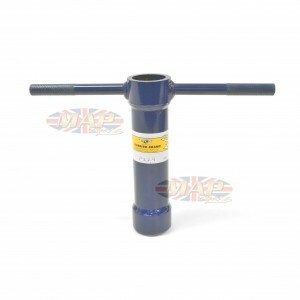 High quality, English-made tool for safely compressing and installing piston rings on 70-75mm pistons. 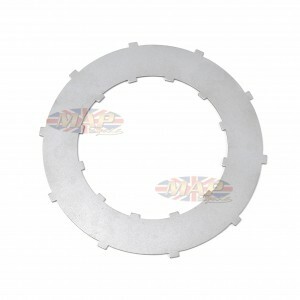 High quality, English-made tool for safely compressing and installing piston rings on 65-70mm pistons. English made and the same as the factory tool (61-6021) which is no longer available. 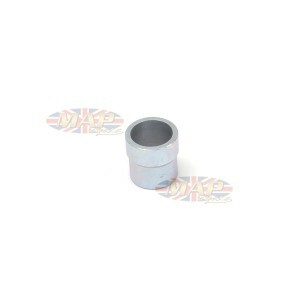 Used for main bearing installation and removal on all Triumph and BSA triples. Works for left-hand or right-hand installations of the layshaft bearings in vintage Triumphs and BSAs. English made and the same as the factory tool which is no longer available. English made and the same as the factory tool (61-6024) which is no longer available. Used to install crank pinion on all Triumph and BSA triples without damage. English made and the same as the factory tool (61-7011) which is no longer available. Used for correctly timing the T160. 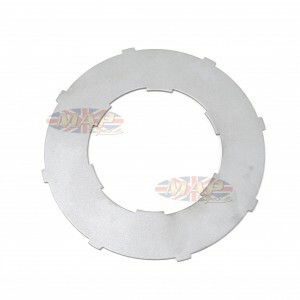 Use this English made tool to safely secure clutch center on Triumph TR25 and BSA B25, B50 and C15 when disassembling and reassembling the clutch. Use this English made tool to safely secure clutch center on BSA B31 and A10 (6-spring models) when disassembling and reassembling the clutch. 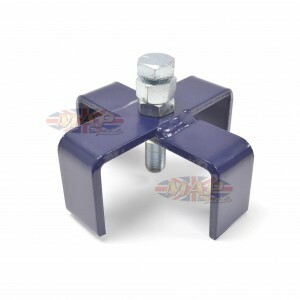 This well designed tool safely secures clutch center for easy nut removal on all unit construction, Triumph twins. 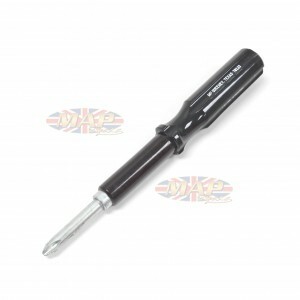 High quality, English-made tool works just like the factory tool (61-7012) which is no longer available. 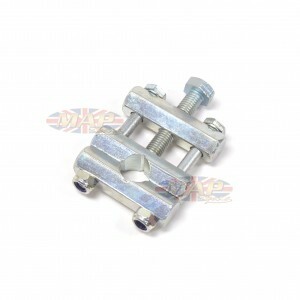 Works with all Triumph unit twins to safely adjust the primary chain tension. Use this English made tool to safely secure clutch center on Norton motorcycles when disassembling and reassembling the clutch. 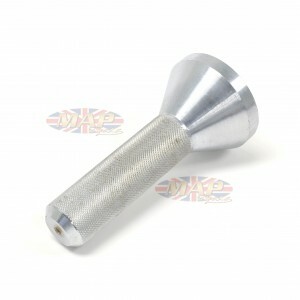 High quality, English-made tool, works just like the factory tool (06-0999) which is no longer available. 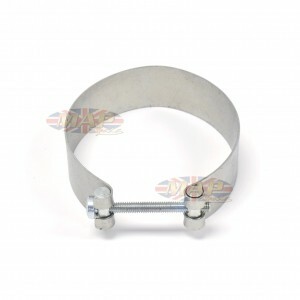 Safely compresses the clutch springs so the retaining circlip can be removed on Norton Commando models. 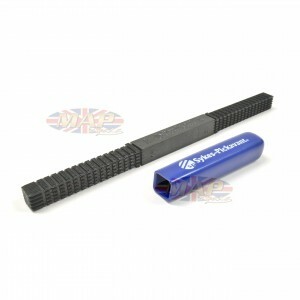 High quality, English-made tool, works just like the factory tool (61-3700) which is no longer available. Quickly and accurately tighten clutch spring nuts on Triumph and BSA twins as well as early Norton models. 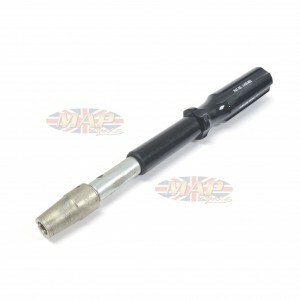 High quality, English-made tool, works just like the factory tool (61-6051) which is no longer available. 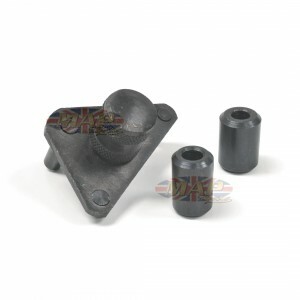 Protects pullrod oil seal and eliminates a problem leak with install shock housing on all Triumph T150, T160 Trident, A75 Rocket 3 and Triumph X85 Hurricane. 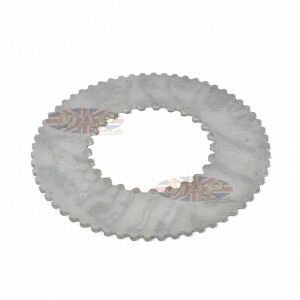 High quality, English-made tool allows you to install rocker shaft O-rings without damage on all Triumph 500cc models. High quality, English-made tool allows you to install rocker shaft O-rings without damage on all Triumph 650 and 750cc twins and triples. For 500 cc models use MAP0865.